About color of LED lights bulb, What do “cool white” and “warm white” mean, and what is CCT? 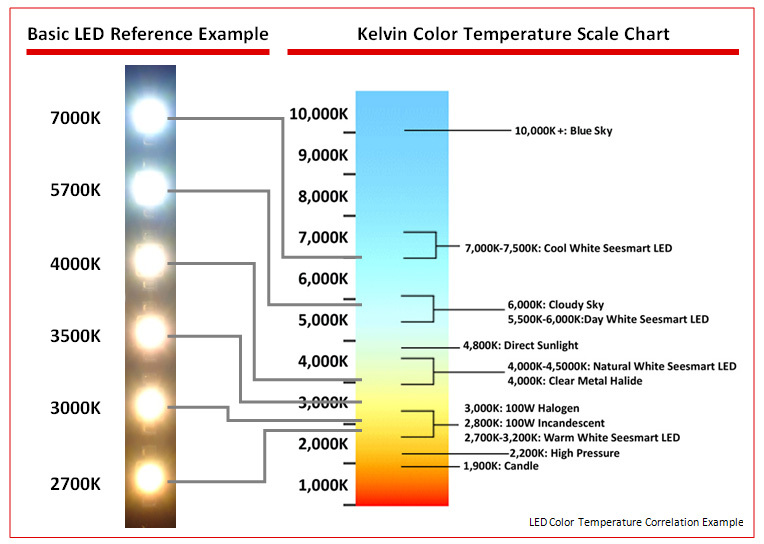 The Color Correlated Temperature (CCT) is given in the description of each of our white led bulbs. The color (CCT) of our white bulbs ranges from a warm yellow white (2700K) to a cool white (6500K). By comparison, a typical incandescent bulb has a CCT of 2800K. A typical halogen is a bit higher, maybe 3500K. Daylight white is 4100K and a cool white fluorescent is 6000K or more. All our bulbs are available for Warm white (2700K / 3000K), Neutral White (4000-4500K), Cool White (6000K). Why should I use LEDs? I like the lights I already have.